Warning: This post contains graphic images and text that may be disturbing to sensitive readers. How are these guys the best the party can offer? I can’t address all the craziness these folks have perpetrated over the past few months. 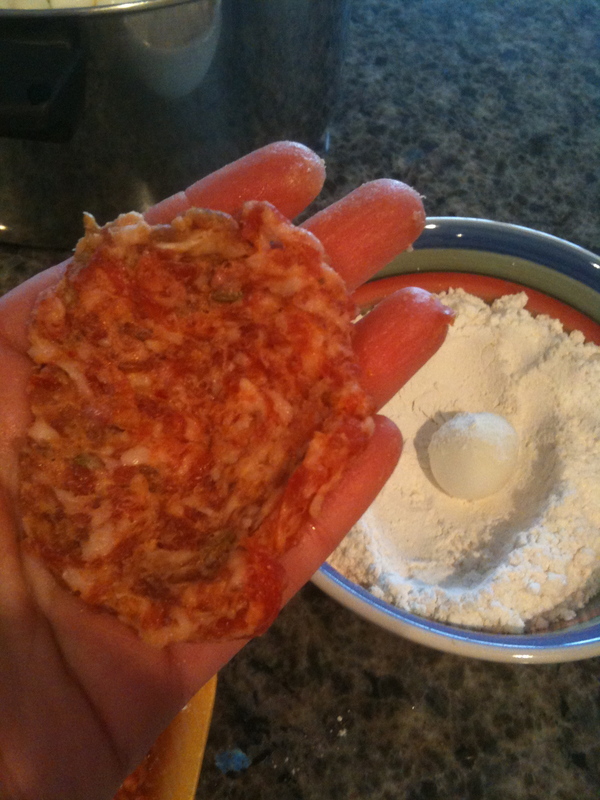 Here are a few of the tastiest tidbits. During an economic policy address at Ford Field in Detroit, he mentioned that his wife “drives a couple of Cadillacs.” Later, he explained that they were parked at their different houses. You know, for convenience. Oh. OK. Of course. He must not have learned anything from poor John McCain in 2008. Romney is like the uptight, nerdy dad trying desperately to “get real” with the cool teenage son. Think Phil Dunphy. At a speech at an Americans for Prosperity forum in Michigan, he derided Obama as a “snob” for suggesting that Americans should go to college. Hmmm … I guess he knows a thing or two about college. He has three degrees: a B.A., M.B.A. and J.D. I suppose he was indoctrinated by those “liberal college professors.” Quelle horreur! And, by the way, look at the priority other countries place on higher education. The United States is slipping further behind. Do we really want to be the Patrick Star of the globe? With his sweater vest, he reminds me of the teenaged son’s irritating, know-it-all best friend: Eddie Haskell. How is he a viable candidate? Let’s give credit to the flux capacitor that transported us back to the 1990s. It was a more innocent time. He was able to squall freely about Bill Clinton’s sexcapades while carrying on a hot and heavy affair with Whitehall Barbie. And he’s trying to represent a party that espouses family values such as preserving the sanctity of marriage. OK. Oh, and he wants to colonize the moon. He’s like the drunk uncle who passes out on the couch during the family meal. Or like an older Arthur. It is amazing that he is running as a Republican in 2012, considering his Libertarianesque leaning (that is actually more like the Republican Party of old). I guess he thinks the Republicans are his best chance (according to him, “parties are pretty irrelevant”). He’s clearly not considered a contender. The debates were tough to watch. Even though the man was speaking some sense, his opponents looked at him patronizingly. In the family dynamic, Paul is the senile grandpa allowed at the dinner table until he pinches the daughter-in-law’s backside when she goes for more rolls. Then it’s back to the nursing home for Old Man Simpson. Lest you think I’m a “liberal college professor” or part of the “left-wing media,” I’m not giving Democrats a pass. They’ve just (wisely) kept their collective mouths shut and let the crazies duke it out. 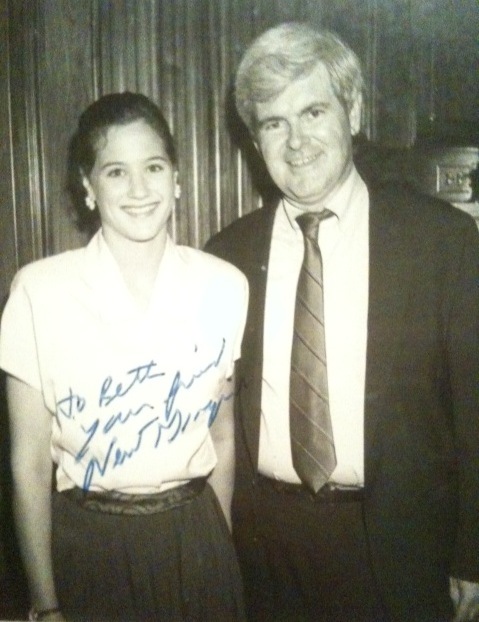 I was Newt’s press intern during the Jim Wright scandal. So glad the days of “mindless cannibalism” are over. Oh … wait. As you know, I like to take on food challenges. 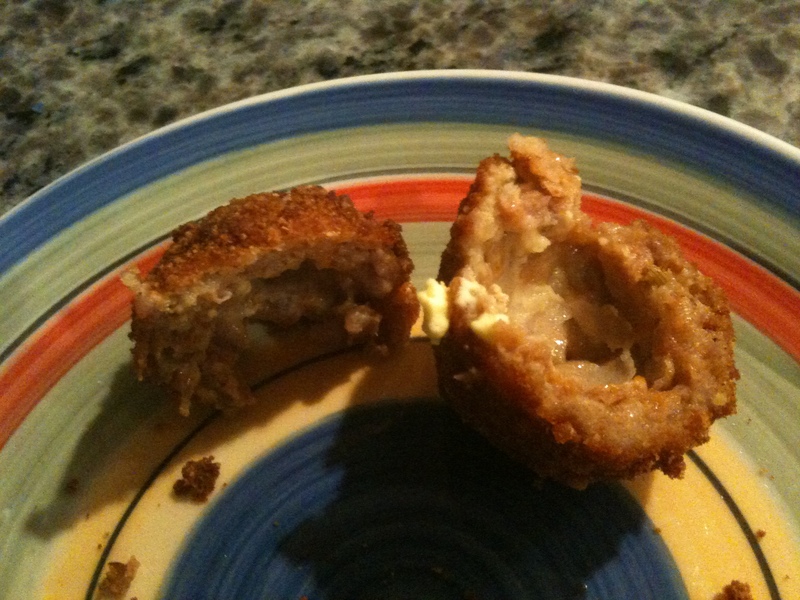 When I saw a Libbie Summers recipe for Scotch quail eggs, it was on. 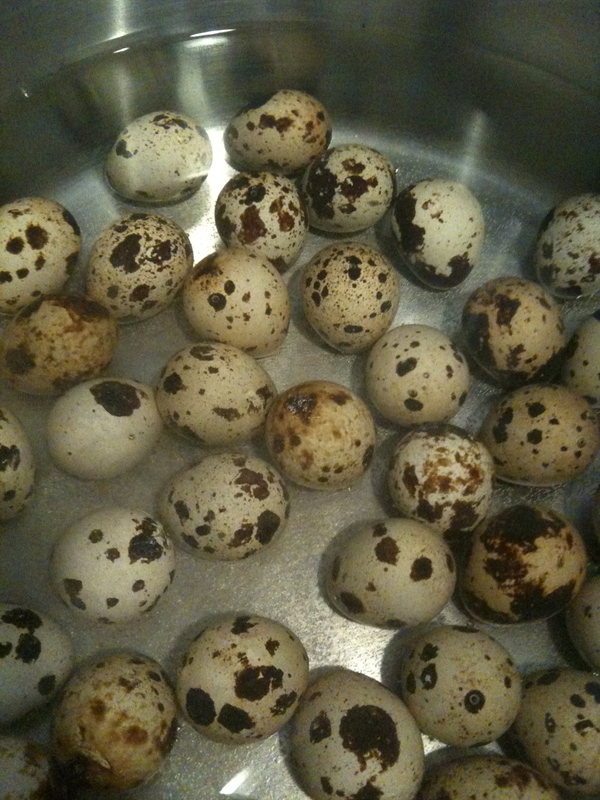 One problem, though: Where does one find quail eggs in Savannah? I tried numerous grocery stores and produce places to no avail. 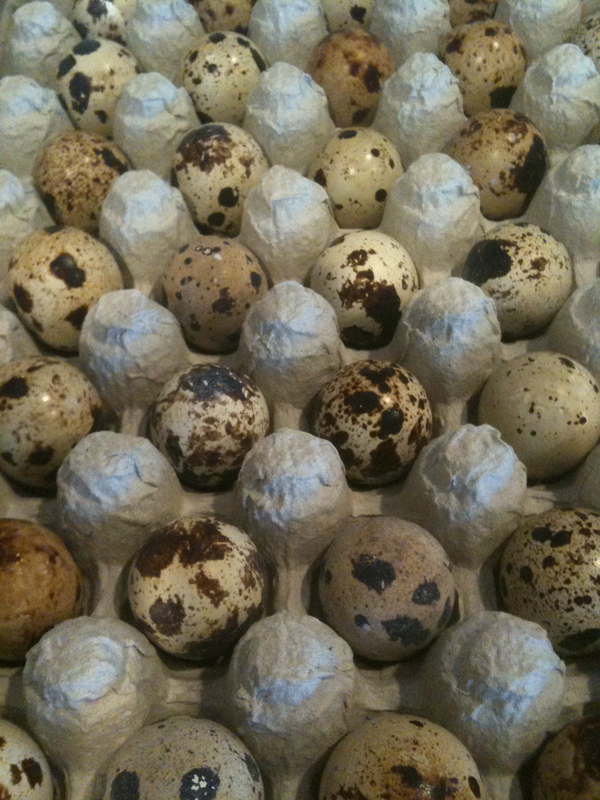 Then I Googled “buy quail eggs in Savannah” and found an address in a strange part of town. I let a number of people know where I was going, just in case I didn’t come back. "G.Q.F." stands for "Georgia Quail Farm. 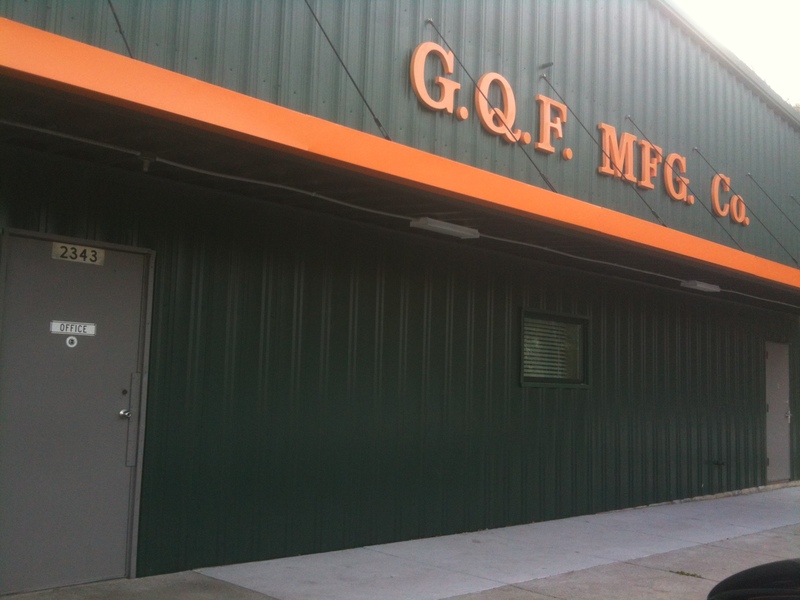 I was shocked to discover that Georgia Quail Farm Manufacturing Co. is an international supplier for game bird and poultry equipment. Who knew? 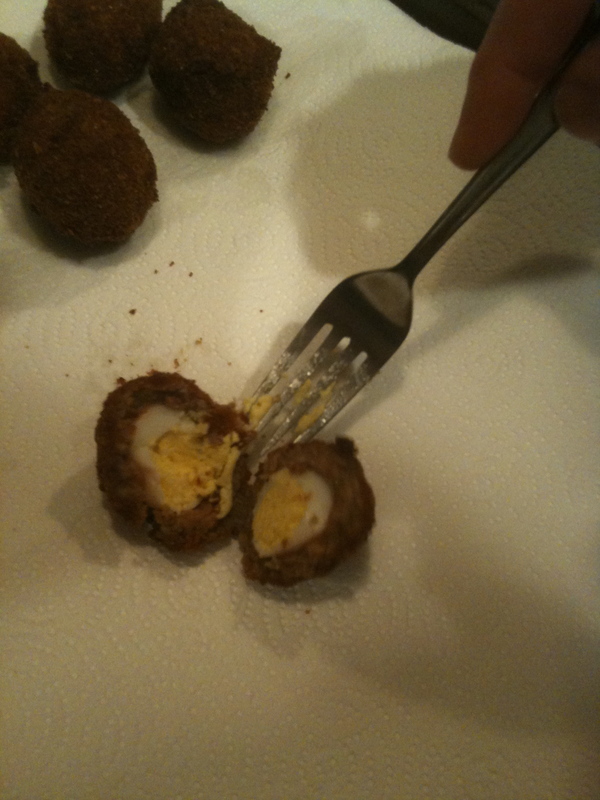 And thus began my Scotch quail eggs adventure. 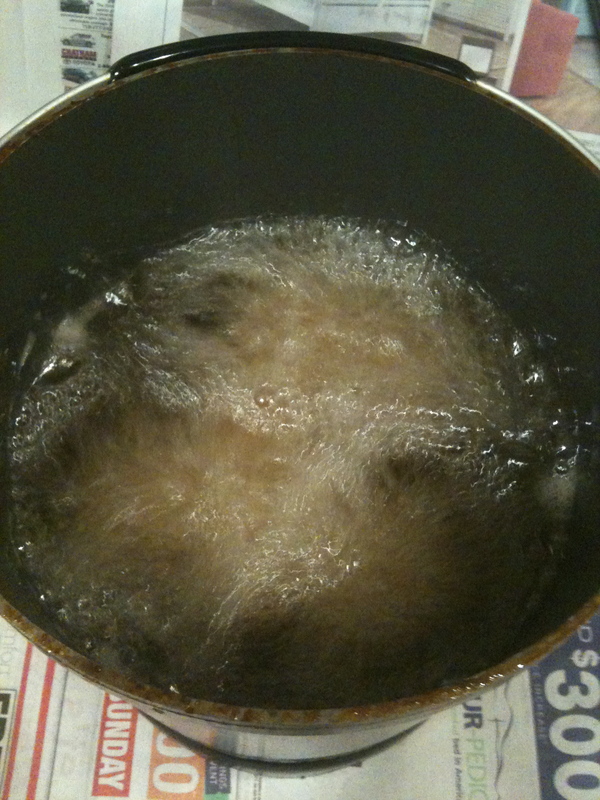 Place eggs in saucepan with salt and vinegar and bring to boil. Reduce heat and simmer for three minutes. 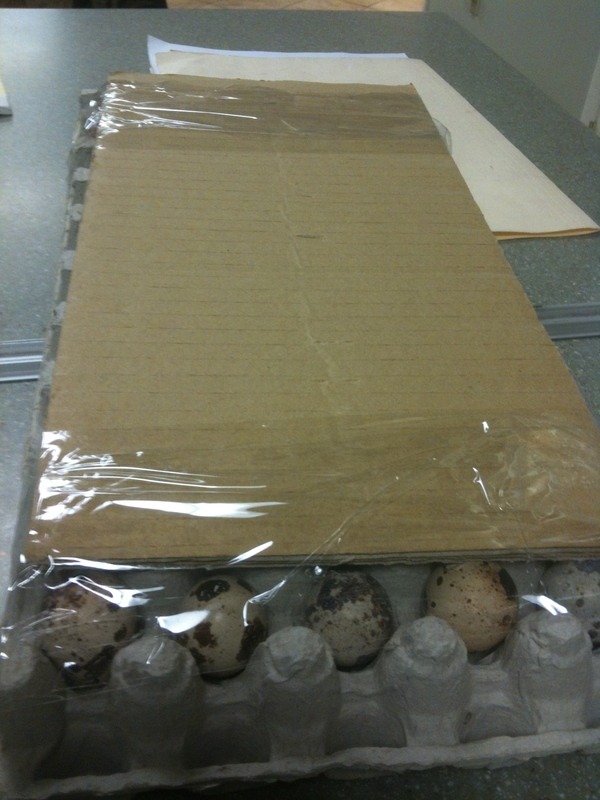 After the eggs dry on a paper towel, they are ready for the coating process. 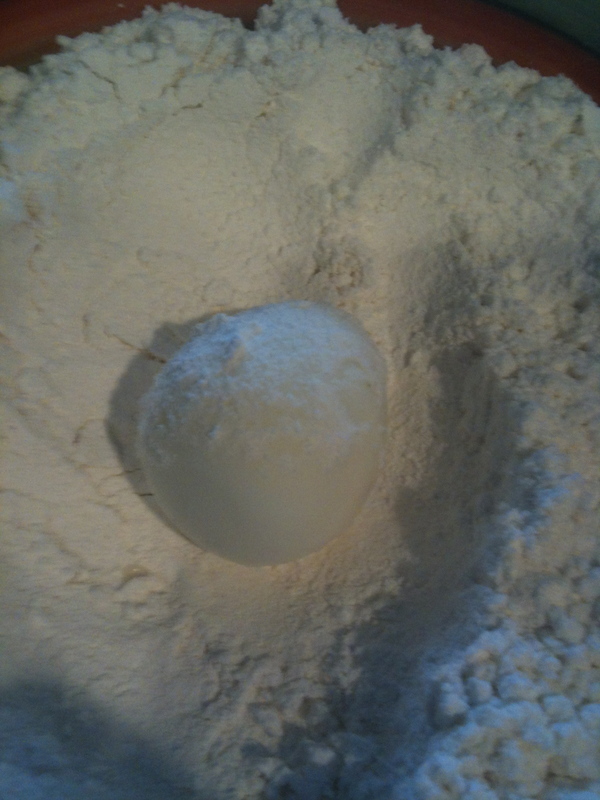 Then wrap a sausage disk around the egg. 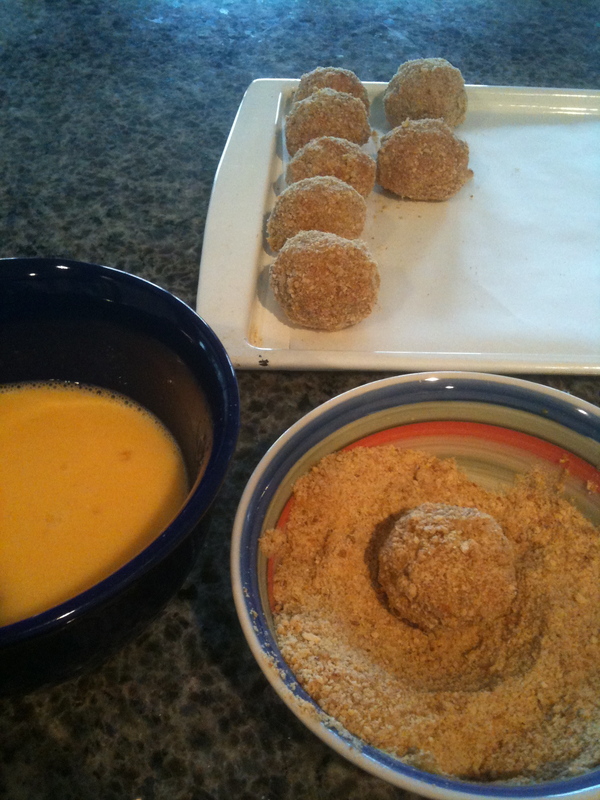 Dip the egg in a mixture of beaten chicken eggs and water, then roll in bread crumbs. 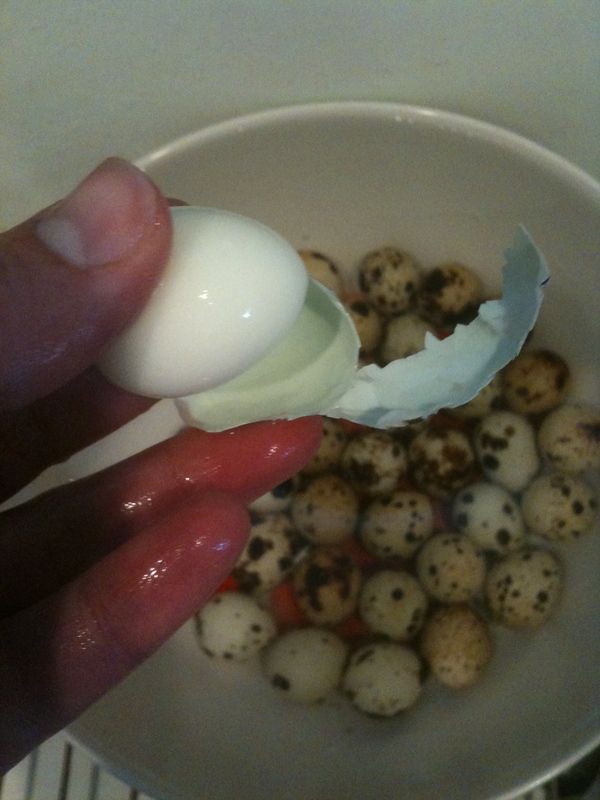 Put finished eggs in refrigerator for at least 30 minutes. 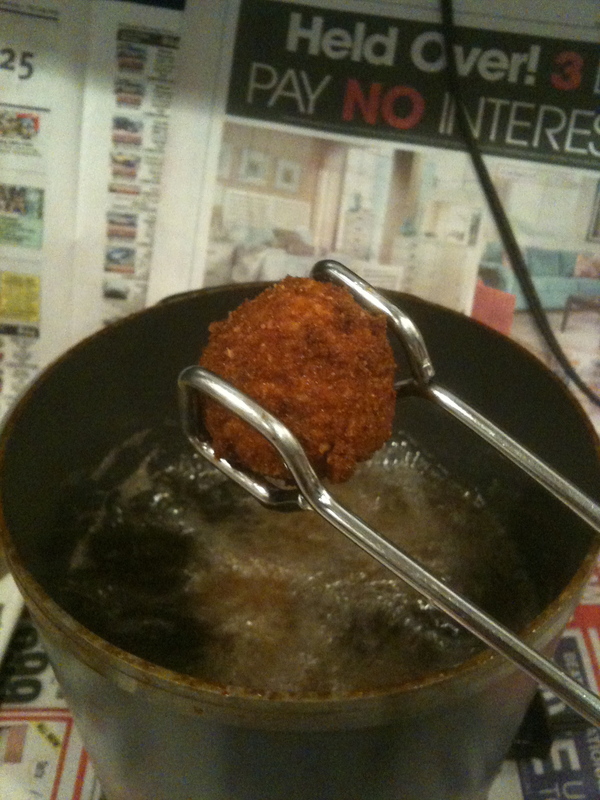 Break out the Fry Daddy. 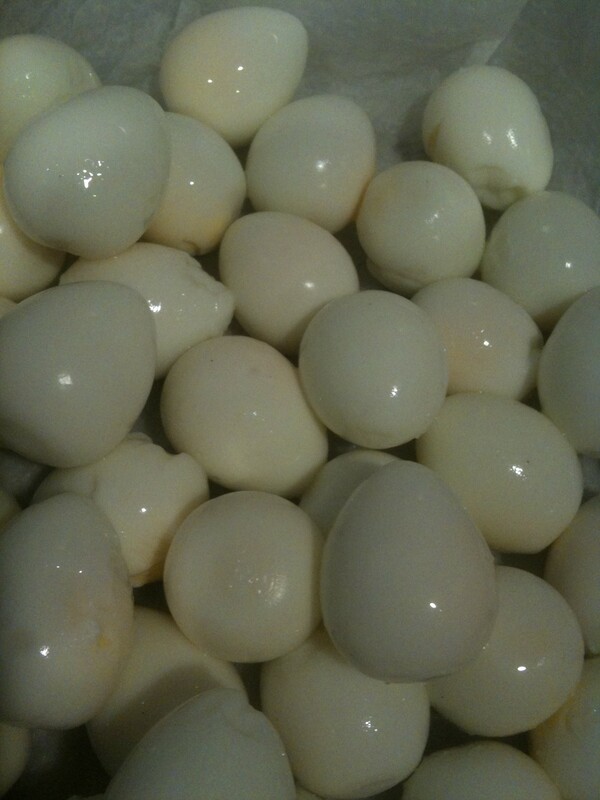 Let the eggs take a bath until golden brown. 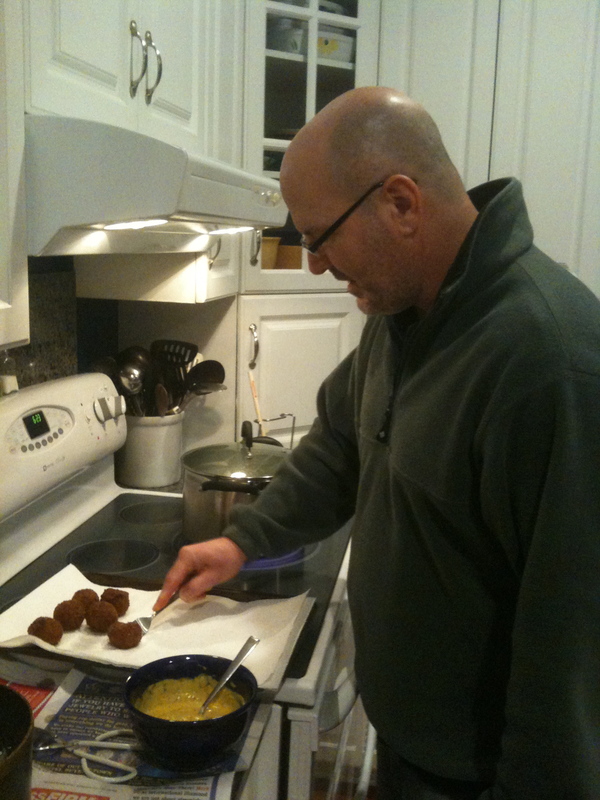 Royce samples the finished product. Dip in tarragon mustard sauce and enjoy! 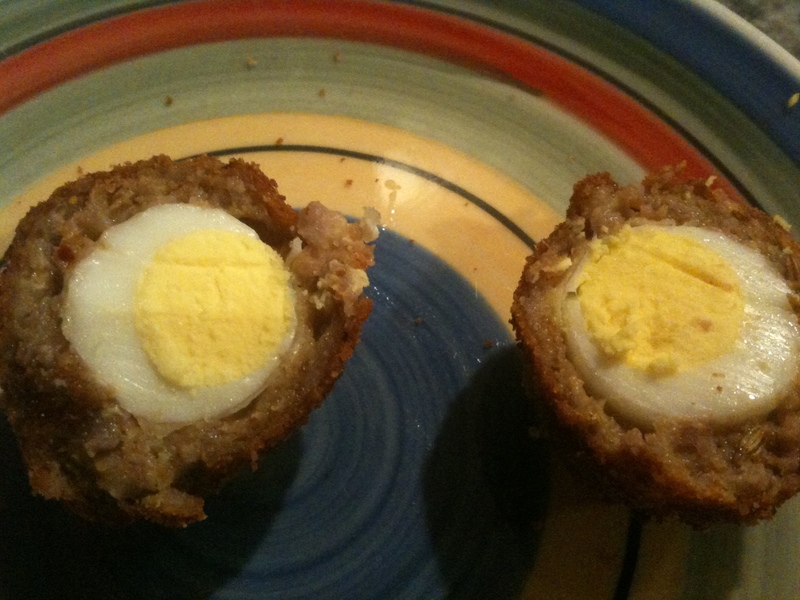 Dominic dissected the Scotch egg and swiped the egg. Verdict: Totally worth the effort! This has been an eye-opening week. I feel old. Scratch that. I feel like I’ve landed on another planet. A student approached me after class one day and asked me, in all seriousness, if I would change the time of a required class next quarter because she doesn’t “do 8 a.m.” classes. Because she is a very sweet student, I nicely replied that I couldn’t help her with that, but I was sure she would be able to rise to the occasion. And I reminded her that college (usually) leads to a job where she would be required to perform on schedule. A student has missed a number of classes because he “slept through” the alarm repeatedly. The class meets at 11 a.m.
A student who informed me he needed an A in the class stood me up for the meeting where we were supposed to discuss his progress toward that goal. These students are all interesting, talented people who are paying to go to college. Yet I seem to care more about their education than they do. So I don’t understand what is going on here. I seem to recall sleeping through a 9 a.m. history class. And I may have tried to get out of that class because it met at 9 a.m. I still don’t have an explanation for or experience with the other two scenarios. At least I don’t have helicopter parents making my life miserable. One such person called my husband to request that he wake up her son to go to the gym. 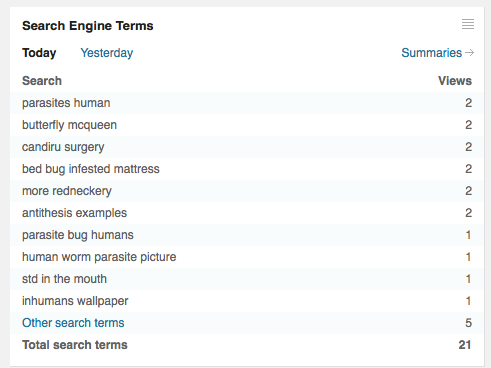 Now THAT’S truly alien behavior!